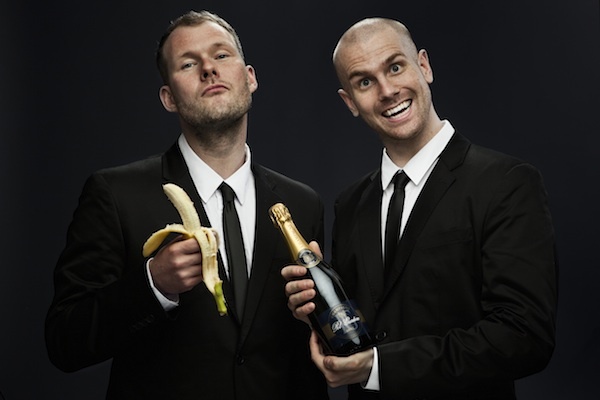 Sorry for being a bit late on this one, but Dada Life have finally released their first track from their upcoming album entitled 'Feed The Dada'. The swedish duo, in my opinion, are one of the few people that have stayed true to their music throughout the years that EDM has blown up, keeping and nurturing the sound that they have had from the beginning, as well as the fact that they always look like they're having a blast and it definitely rubs off onto the listeners. In terms of the track, they have created a huge electro drop sure to rattle speakers everywhere around the world, as well some fun vocals perfect for a Dada Life song. 0 Respones to "RELEASE: Dada Life - Feed The Dada (Original Mix) "